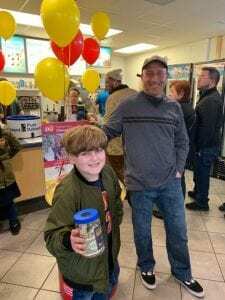 Dairy Queen stores across New Jersey, celebrated Free Cone Day, on Wednesday March 20th, to raise funds for Children’s Specialized Hospital. Dairy Queen has been partnered with CMN Hospitals since 1984, raising more than $134 million dollars for local hospitals. 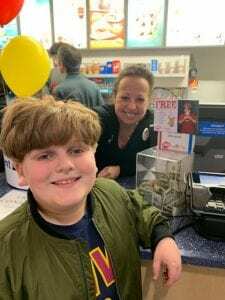 Our former Miracle Champion, Jude visited the Plainfield Dairy Queen, to help support Children’s Specialized Hospital and Children’s Miracle Network. 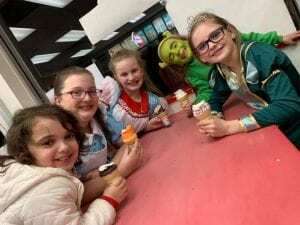 The Albanese Family looks forward to Jude’s return each year on Free Cone Day! The day continued with special guest appearances from Miss New Jersey and even Princess Fiona and Shrek! We cannot thank our volunteers and the DQ Operators who chose to make Free Cone Day a fundraiser, enough! Thank you Dairy Queen for all of your support! Previous post: CMN Hospital’s NJ 4th Annual Miracle Summit! Next post: Happy Children’s Hospitals Week!